Today we operate more efficiently and accurately with ReconArt™, and have reduced the time it took to complete reconciliations. Audubon Engineering was founded in 1997 as a multi‐discipline engineering company serving the Oil & Gas and Petrochemical industries. Today Audubon is comprised of four affiliates, which include Audubon Engineering, Audubon Field Services, Cimation, and Affinity. It has multiple offices across the United States and in Canada and Columbia. A major pain point for Audubon was the time–consuming manual performance of reconciliation processes. The company needed to get cash reconciliations completed quickly and effectively so that it could finalize financial close in under five business days. Reduce risk and cost, while at the same time ensuring regulatory compliance. A short list of possible candidates ensued and, after a detailed evaluation, Audubon selected ReconArt as the best provider and the ReconArt™ Total Reconciliation Lifecycle™ as the most suitable platform going forward. 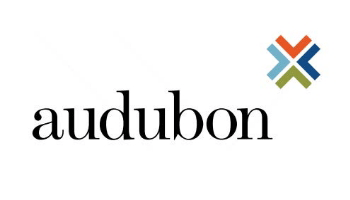 While ReconArt™ provides users with both options, and indeed the flexibility easily to switch to meet changing needs in the future, Audubon chose an in-house deployment over the ReconArt.net™ cloud (SaaS) option. This allows the company to retain full control of all data on its servers and managed exclusively by its own technology resources. The 100% web-based ReconArt™ solution is installed in Audubon’s data center and delivered entirely through zero footprint browsers to the authorized users. Standard import templates provided out-of-the-box, and data mapping and enrichment rules that can be defined by a non-technical administrative user via simple drag-and-drop in the browser. Data matched in a scheduled fully automated manner, or as suggestions pitched to a reconciler, or by user selection on-screen with powerful search and match capabilities. Different levels of exception resolution to meet Audubon’s needs. Fully audited standard functions including activity assignments, reminders, exception aging and support for all documentation including unlimited file attachments. All stages and degrees of account reconciliation: from the generation, review and sign-off of a daily reconciliation statement to full period end attestation and certification of General Ledger accounts. Data analytics delivered at the right levels and to the right people to maximize efficiency. Some of the general improvements gained after adopting the ReconArt™ product were time saved during month-end closing, better reporting tools, accuracy in our the matching functions, and automating the reconciliation process. Today we operate more efficiently and accurately with ReconArt™, and have reduced the time it took to complete reconciliations. Jeremy Zamzow, Corporate Controller, Audubon Engineering. ReconArt is being used at the company’s headquarters in Houston, Texas, and all Bank reconciliations are already automated in the system. The software is fully integrated with Audubon’s Microsoft Dynamics ERP solution, as well as with its JP Morgan Access treasury and cash management tool. Shortly after the implementation, ReconArt™ started paying for itself through cost reductions. Additionally, time savings allow the team to focus on other impactful analysis which brings further benefits. These gains are only set to increase. Audubon will next add international bank accounts and period end automation of GL account reconciliations with the Controllers of the company’s affiliates. The relationship between Audubon and ReconArt is indisputably effective and beneficial. Audubon’s team enjoys working with ReconArt’s specialists. The implementation of the product has aligned completely with company’s expectations, and users find ReconArt™ very easy to operate. Support is provided around the clock to answer any questions and to assist in resolving any issues that may arise. Overall, ReconArt™ translates into a big win.